Annie 9's Story . 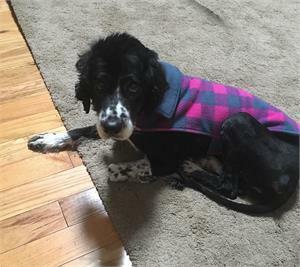 . .
Annie was found wandering as a stray on a blustery, cold day in Pennsylvania. 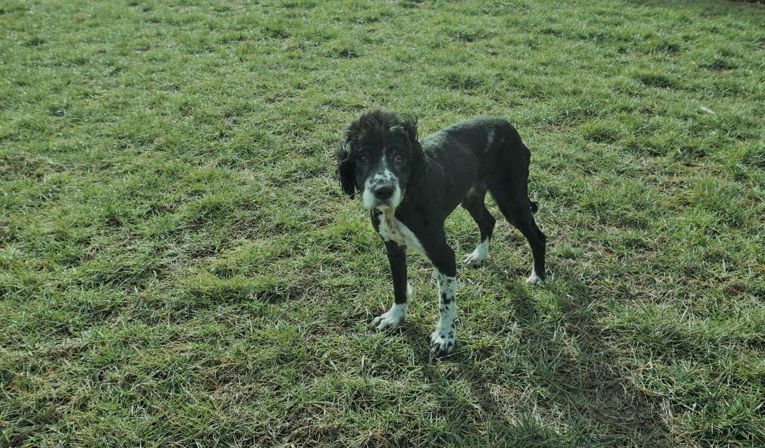 Extremely malnourished, Annie was living off the streets for an unknown amount of time. In addition to her being so underweight, her fur was extremely matted when she arrived at the shelter. 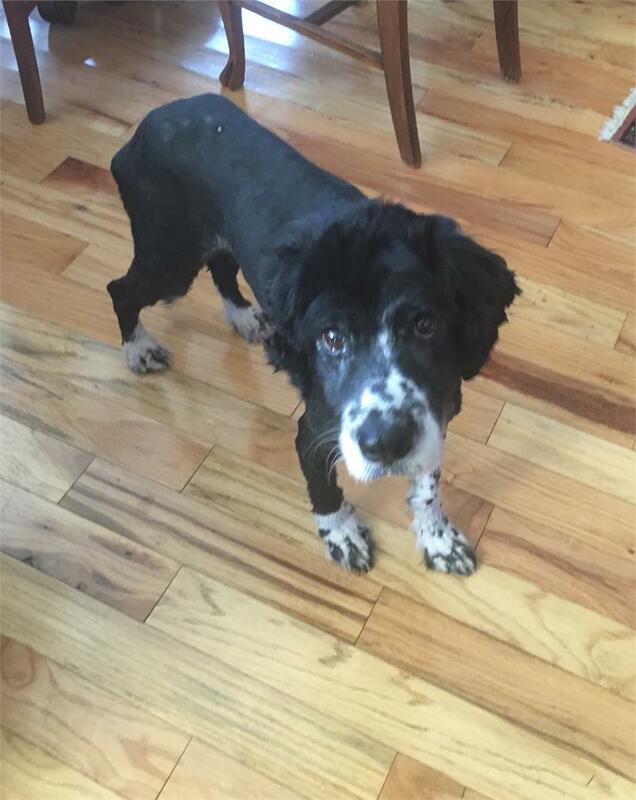 Her fur was shaved but Annie was happy with her stylish new summer cut--after all, her new life calls for a fresh new look! After staying several days in the shelter, Annie became a MAESSR girl and was moved to her foster home to be restored back to health. It is evident to her foster parents that Annie had lived in a home at some point in her life. She knows the command “sit” but has not followed any other commands. She has also made it known that she enjoys the finer comforts in life since she was found on a chair when her foster mom arrived back at the house after only being gone for several minutes! Annie has not shown any inclination for trash picking or counter-surfing but has attempted to obtain human food by gently resting her front paws on her foster mom’s leg while she was eating. Despite her occasional begging, Annie is not persistent at human meal time and is often elsewhere doing her own thing. She is a great eater and will often eat 100% of her meal. In the short time since being in her foster home, she has gained a slight bit of weight to her hips --very slight but it is something! Unfortunately, Annie does not signal her need to go out, thus resulting in numerous accidents throughout the house. So, Annie is being re-potty trained. 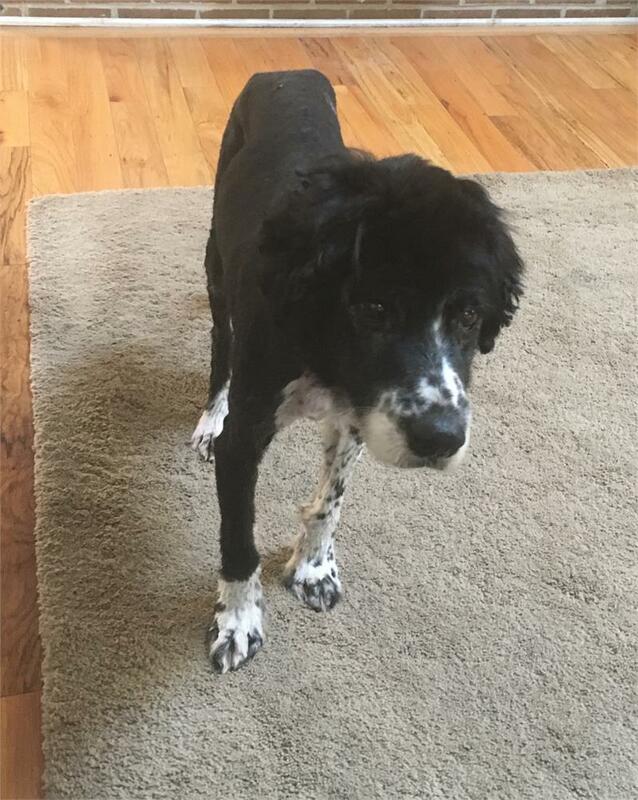 She still has her good days and bad, but her foster parents’ perseverance in housetraining her will pay off eventually and Annie will catch on as to what is expected. Not vocal girl, Annie does not bark and has only been heard whimpering a few times. She is anxious during car rides but seems to do better when she is transported in her crate. Annie is an extremely timid girl. When she first arrived in her foster home, she would often shake when being petted but this has decreased drastically. Although she does not like her paws touched, she has allowed more human touch as her foster family has gotten to know her better. She has not showed any signs of aggression and is very docile. 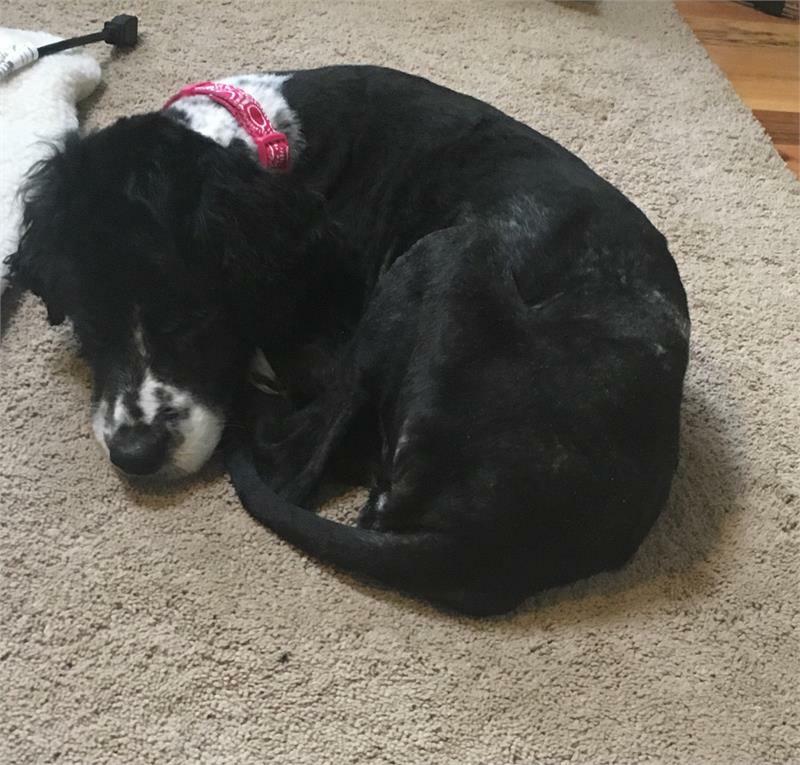 Although currently residing with two resident dogs, Annie likes to keep to herself most of the day and seems frightened at times by the others. 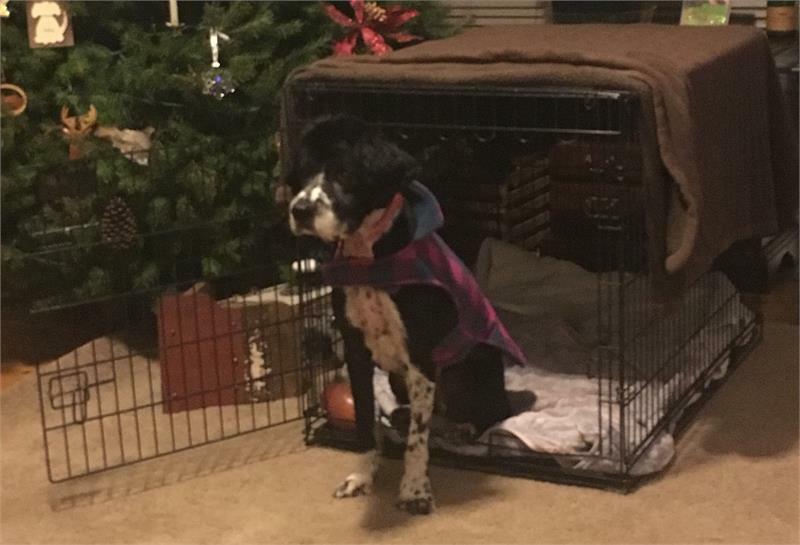 She spends most of her day in her open crate, coming out for food and walks. When she is in the outside air, Annie is in her element! Her tail moves a mile a minute when she is out walking. Even though she does not pull on leash walks, Annie likes to switch sides often, zig-zagging in front of her person. In her excitement, she likes to run ahead of those walking her and never appears out of breath. Her stamina and endurance amaze her foster parents! If a car passes by during her walk, Annie becomes very frightened; however, once the car has passed, she is fine. When the resident dogs are walking with her, Annie seems less frightened by cars. She seems interested in other dogs and people that she encounters in public but because of her timid nature, she has yet to approach those that she does not know. 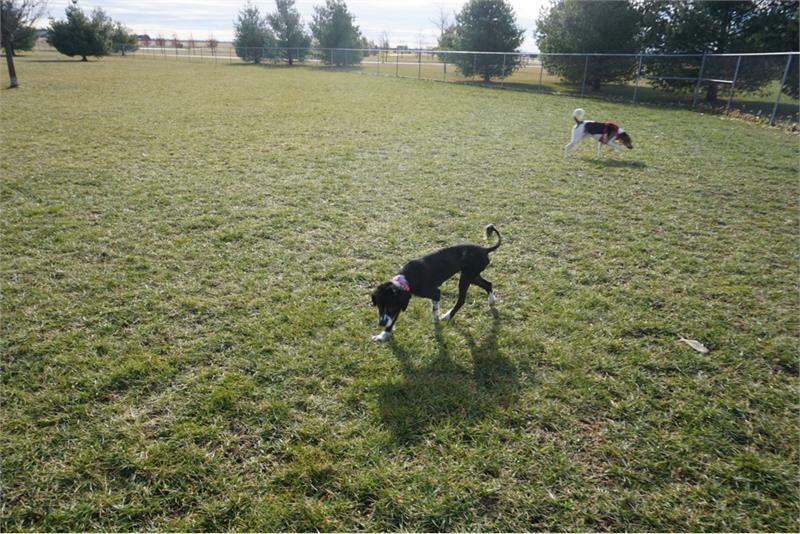 In a recent trip to the dog park, Annie enjoyed her adventure and she again came to life. She was little Miss Social Butterfly and loved approaching all the other dogs and chasing them. She really enjoyed her time with the other dogs! 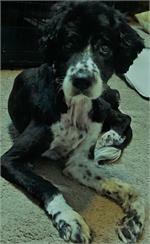 Despite her traumatic past, Annie has a sweet, gentle temperament. This timid girl is in need of lots of tender loving care and will make a family that is willing to work with her very happy.